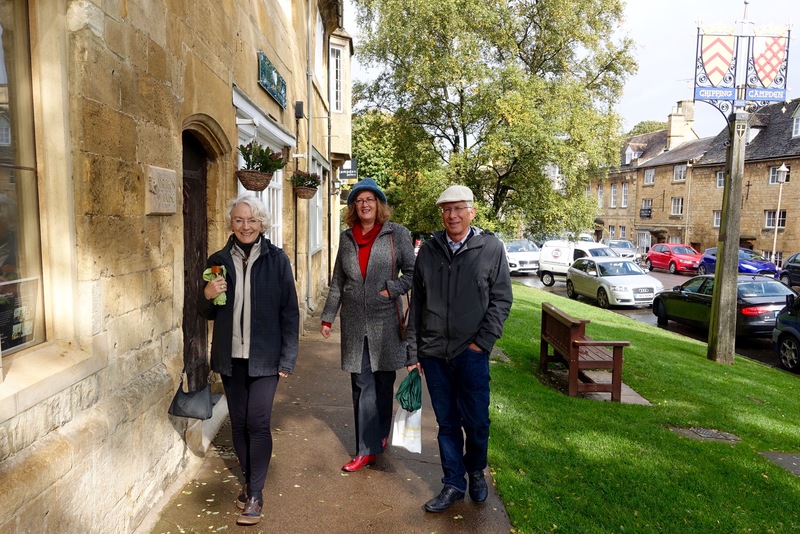 Trish, Kathy and John window-shopping in a Cotswold village. We’ve been in the Cotswold area of England before, but it was 33 years ago, which for our memory facilities is almost like visiting for the first time. It was great to be back, traveling with John and Trish through pastures and crops separated by fences built with stones cleared from the fields and stacked without mortar. Moreton-in-Marsh, Chipping Camden, Stow-on-the-Wold, Upper and Lower Slaughter, Bourton-on-the-Water and Burford are still there with their stone houses, tea rooms and narrow streets (thanks for driving John and Trish). It brought back some great memories from 33 years ago when Kathy and I went off for four months on a tour of Europe, starting in England and the Cotswold. Posted on October 2, 2015 October 2, 2015 by jbsaulPosted in TravelTagged Bourton-on-the-Water, Burford, Chipping Camden, Cotswold, England, Moreton-in-Marsh, Stow-on-the-Wold, Upper and Lower Slaughter.